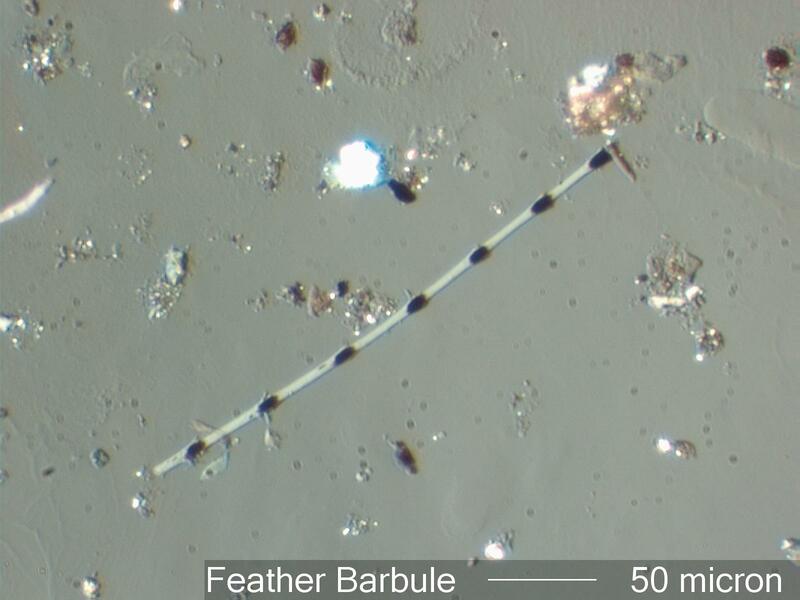 This is an plumulaceous barbule. It is unpigmented internodally but the nodes themselves are pigmented. The nodes are strongly spined medially. The nodes are subtly spined.